Kato announces CN, BN and BNSF 8-car Coalporters sets and single cars. Now available in both 8 car sets and in individual cars! Huge Update! 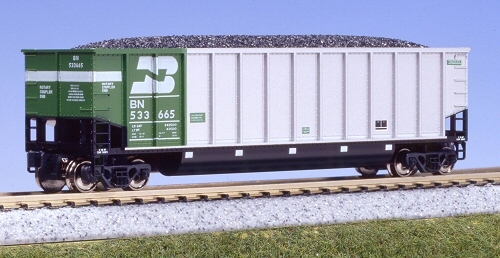 - New CN Coalporters and totally new numbers for BN and BNSF cars! 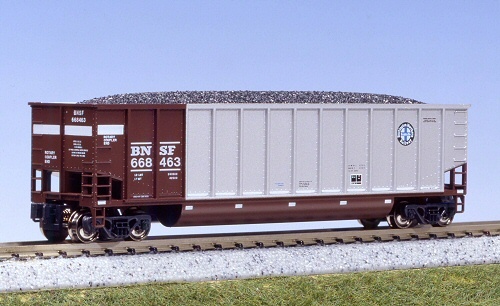 Announcing the Canadian National Bethgon Coalporters and individual Coalporter cars! Need a little more bulk on your coal train? We are also making individual cars available for current and future Bethgon releases with their own roadnumbers, allowing you to customize your consists in a whole new way! One of the advantages of N scale modeling is the ability for hobbyists to recreate loooong trains. And while hauling black diamonds from mines, coal unit trains are some of the longest and most common trains on rails today. 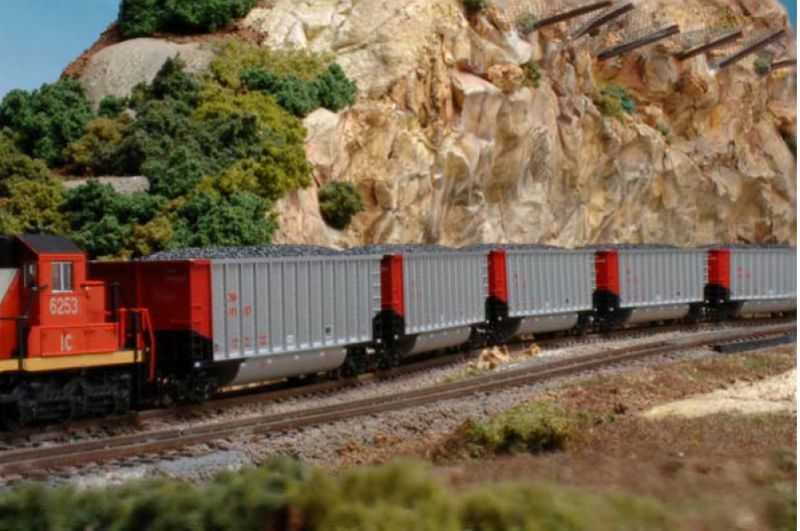 The KATO N scale BethGon Coalporter returns with four roadnames. The BNSF and CSX sets carry all new road numbers!! Hobbyists can combine these new sets with the set from our previous releases without duplicating any of the car numbers! The Union Pacific is also a repeat roadname, but it is now with the popular ?Building America? slogan. The road number of each car in this set is also different than any of those in the earlier UP set. The WEPX set is completely new and is perfect for hobbyists wanting a public utility unit train that is not limited to a specific railroad. These cars could be pulled by locomotives for a number of railroads ? including UP, BNSF, CSX, NS and CP ? as they make their way back and forth between an Eastern or Western coalmine and their Milwaukee-area terminal. Like our previous releases of these coal hoppers, our BethGon Coalporter is the ideal blend of operating functionality and scaled reality. The removable coal load lets operators run full or empty between coalmine and terminal. The shock absorber construction and low-flange metal wheels provide smooth operation. The internal bracing of the tub, close coupling between cars and detail lettering on these cars make them look just like the real equipment. These model sets would be excellent complementary items to our recent SD40-2 locomotive models and soon-to-be-delivered SD70M locomotive models, as well as our C44-9W, AC4400CW and even the SD80MAC/SD9043MAC models released previously. Stock # Railroad Paint Scheme Road Nos.